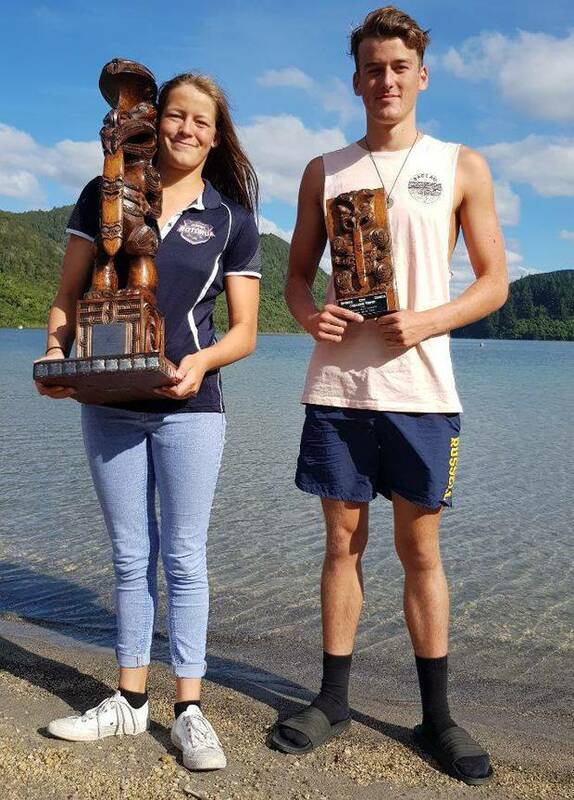 It is a busy time of year for open water swimmers, with a wide range of events on offer, and one Rotorua teen is quickly making a name for herself. 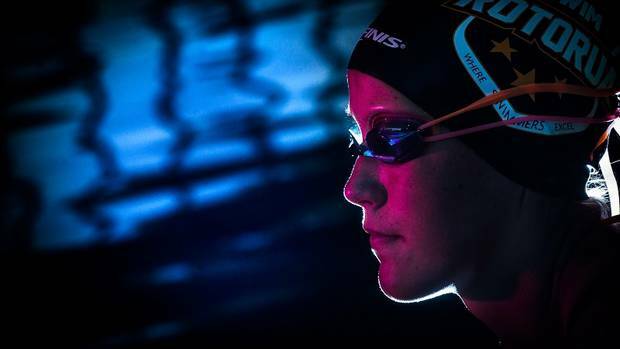 Emily Spear, 15, started 2019 with some impressive performances at the Swimming New Zealand Open Water Championships at Lake Taupō. A week later she turned heads when she was the first female back, and 10th swimmer overall, at the 4km Round the Mount Swim at Mount Maunganui. Last week, the Swim Rotorua athlete successfully defended her 2km Hinemoa Swim title at the Ecomist Blue Lake Multisport Festival. The Round the Mount Swim was particularly impressive for her age, her time of 1h 1m 5s placing her ahead of some much more experienced swimmers. "The Mount was definitely a surprise, I thought I might've lost it as I got to the end but then it was just a quick sprint up the beach. That was a little bit shorter than I usually do, I prefer 10km. "I took off with the first group, it was bit of a battle against the waves, but I guess that's just open water. From there I could see people behind me so I tried to just stay in front. "I'm real happy [with the start to the year]. I think just improving from last year and throughout the three events so far being able to maintain my standards." A week prior, at the Swimming New Zealand Open Water Championships, Emily finished fourth in New Zealand and second in the 15-17 years age group in the 10km race. In the 5km race, she was third overall and second in her age group. She then teamed up with Swim Rotorua teammates Annelyse Cowie, Jasmine Hagan and Molly Sinclair to take the gold medal in the 16 years and under 4x1km relay in 47m 27s. She confessed to being a naturally competitive person, but said the mental side of racing was something she was working on. "When I'm out there actually swimming, I'm competitive, but when I'm on land I look at who else is there and I'm not that confident. As soon as the race starts I switch on. "Open water champs in Taupō was really good, it's always good to go up against some of the top swimmers in New Zealand. It was another challenge, but good to do and compete. "The highlight would definitely be the bronze medal [in the 5km race]. Especially backing up after the 10km and moving up an age group." Open water swimming is in the blood for Emily, her dad David Spear also competed at Round the Mount and was the 18th Male and eighth Master to finish. "Growing up, dad was always doing triathlons and I just sort of took on swimming from there. I find open water swimming more challenging and I love a challenge - pushing myself more than I think I could. "I like swimming in the pool too, but open water is more fun. There are more boundaries to push and it all comes down to the conditions." With much of the major open racing finished for the year, it is back to training for Emily. Although, she does have Ocean Swim Fiji to look forward to in August. "For the rest of the year I just want to maintain, or even raise the bar a little bit. I want to start training now for next year, that's a big one on my list." Swim Rotorua head coach Alastair Johnson said Emily was off to "a cracking start" to 2019. "I think that is a good reflection of her work ethic, she's getting her head down a lot more and certainly training a lot better. There's a bit more maturity in her training, which just comes with age and maturity. "She's very coachable. She trained up a lot quicker towards the end of last year and just got faster and faster in training. She's really come on and it's just a reward for extra efforts - she turns up all the time and if she's not here it's because she's swimming at the lake or doing a competition."